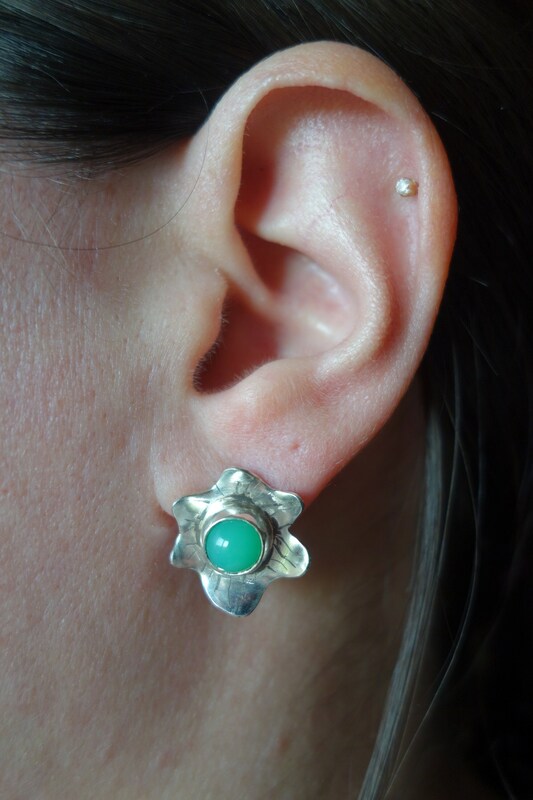 Pair of flower in silver with etching, patina earrings, chrysoprase cabochons. Unique piece. 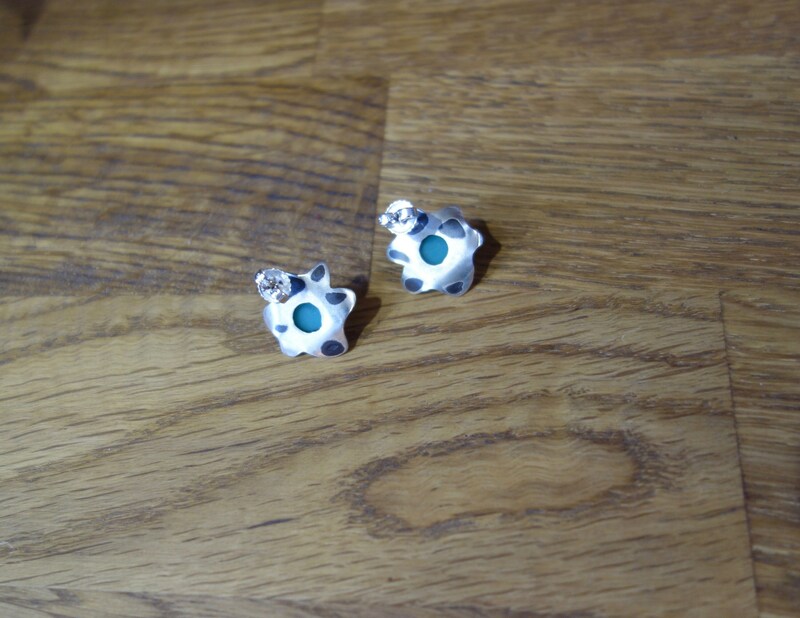 Pair of earrings in silver for pierced ears. The silver has been etched and patinated and two chrysoprase cabochons were set. Flowers diameter is about 1.5 cm by 0.6 cm deep. This gem has been entirely created and produced by hand in my workshop located in France. This pair of earrings is one of a kind stamped my mark. The silver was also shaped to be closer to the aesthetics of the flower. This is a neat, unique work done by hand. 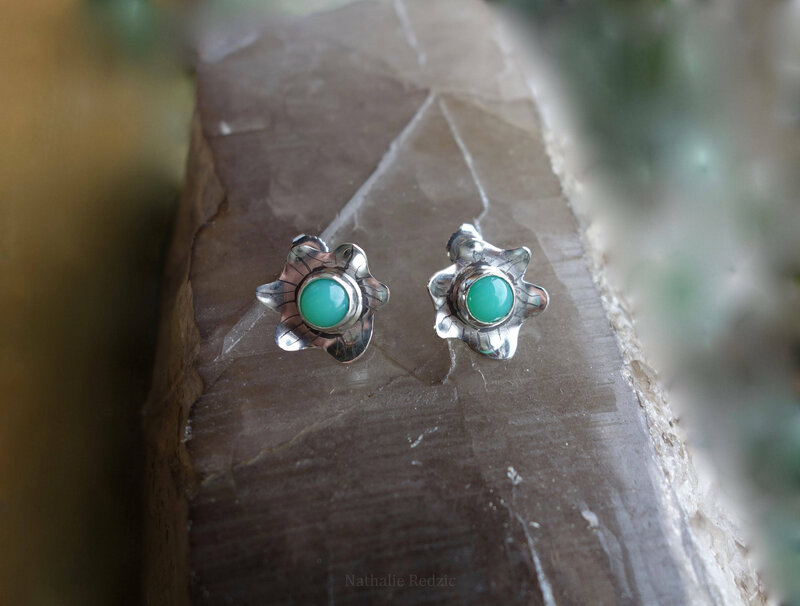 These earrings are inspired by nature, they are especially elegant with a luster, mineral recognizable and natural green chrysoprase. This pair will be sent in a suitable box.